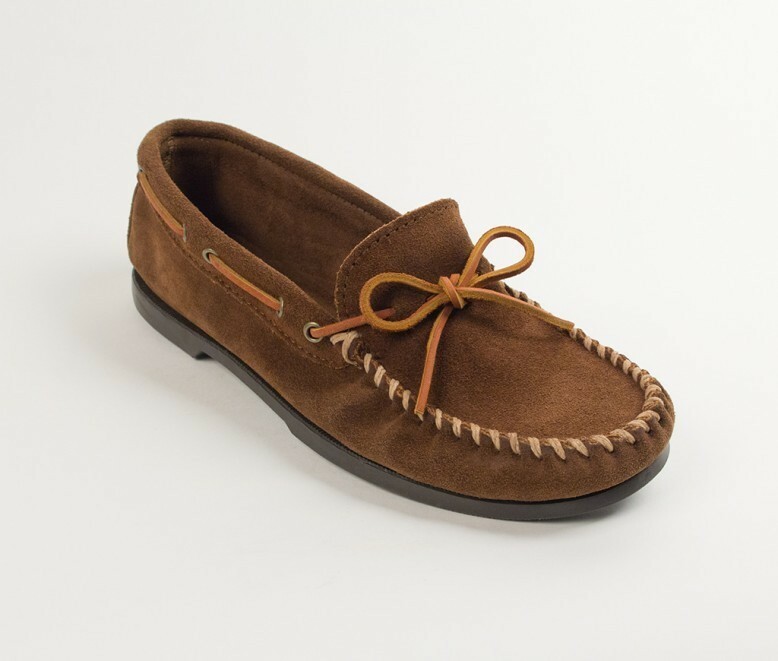 Arizona Saddlery of Clarkston carries a wide variety of men's moccasins. 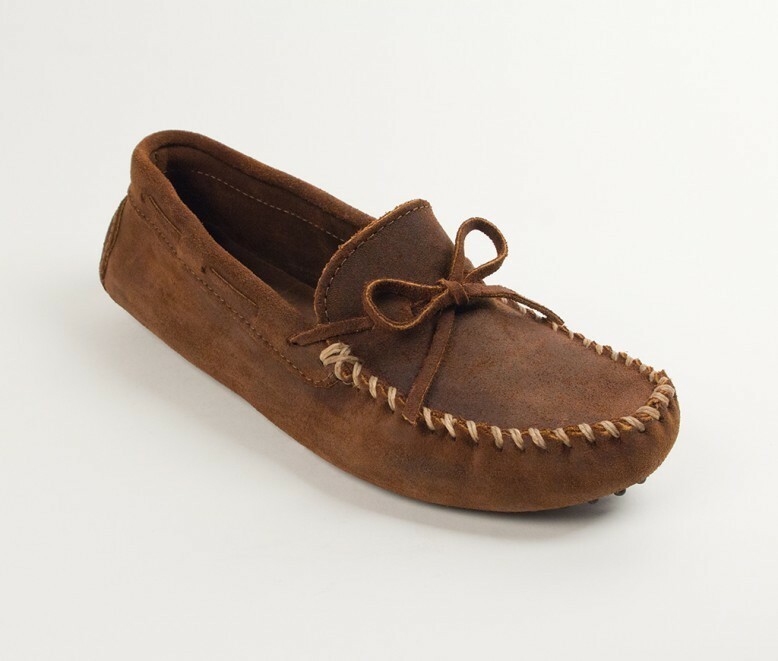 We feature moccasins from Minnetonka! 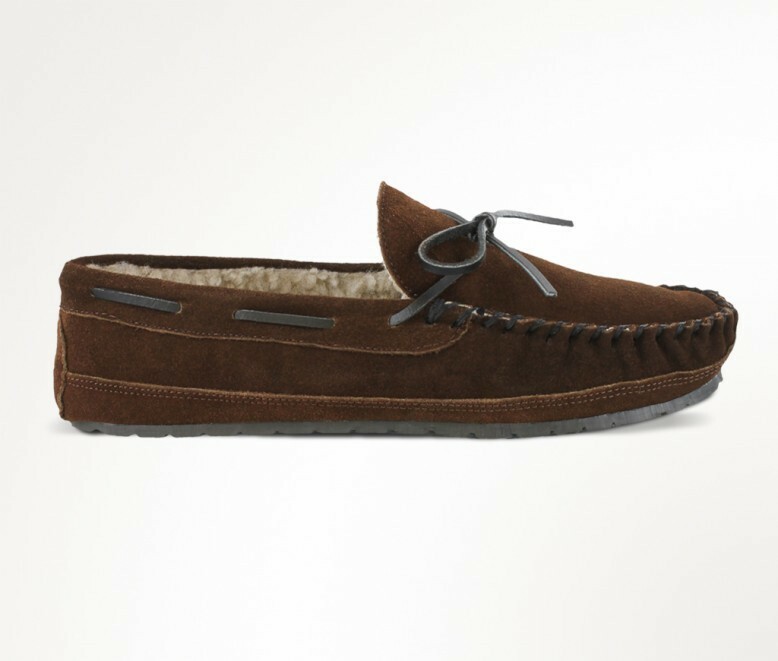 See some of our men's moccasins below! Suede, rawhide lace, padded insole, rubber outsole. Sizes: 7-13 half sizes, med width, and wide widths (no 12 1/2). Extended sizes 14-16 full sizes only. 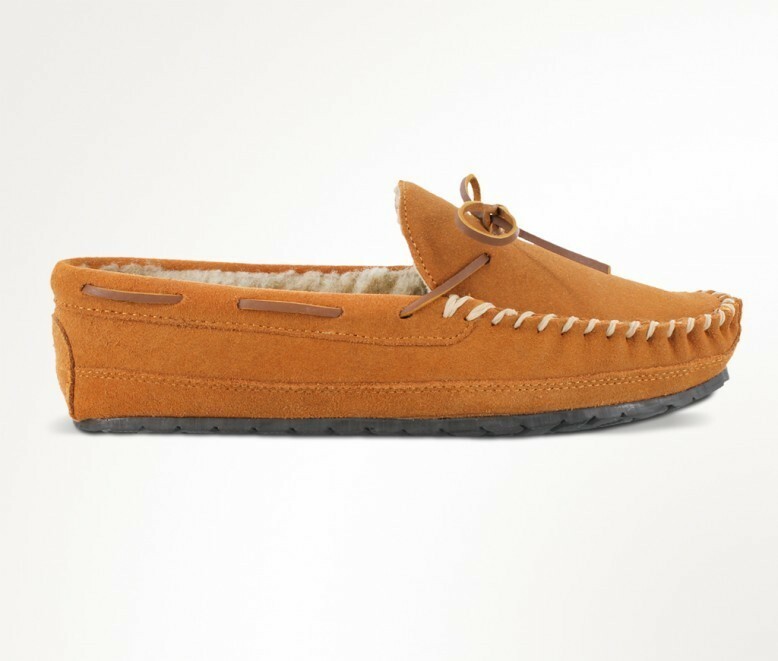 Sizes: 7-13 (no 12 1/2). 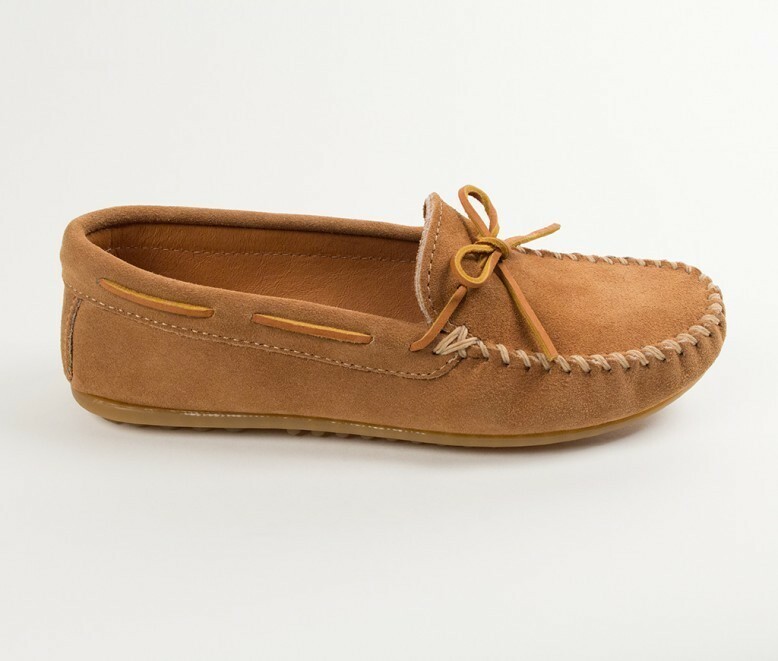 Leather, rawhide lace, padded insole, rubber outsole. 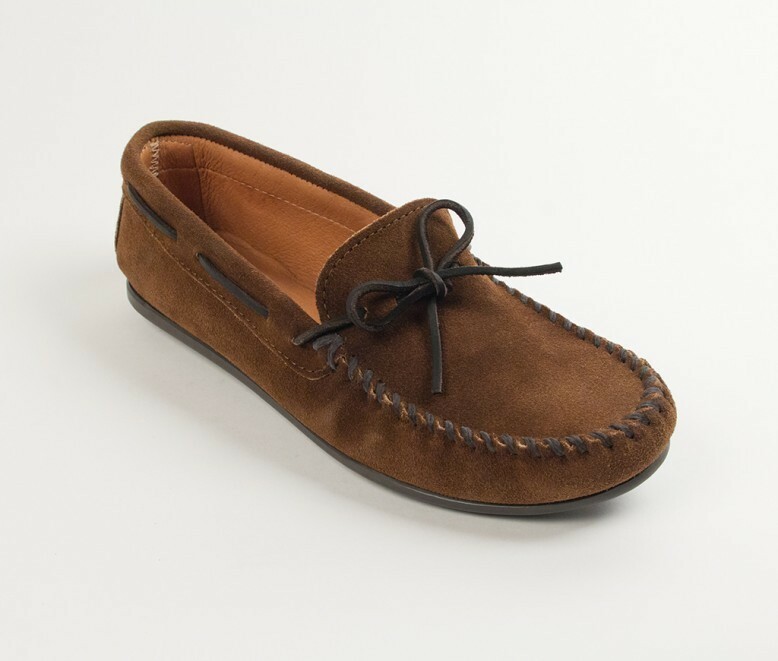 Suede, rawhide laces, pile lined, rubber outsole. Sizes: 7-13 Full sizes only.